Following Melissa McCarthy’s turn on “SNL” as White House Press Secretary Sean Spicer, — and rumors that Trump was displeased that Spicer was portrayed by a woman because it made Spicer “look weak” — Twitter users are pushing to get Rosie O’Donnell cast as Donald Trump’s Chief Advisor, Steve Bannon. A Twitter user suggested the role to O’Donnell, who was immediately receptive. “I am here to serve,” she replied. The exchange touched off something of a Twitter campaign to push O’Donnell for the role. Many users replied straight to the “Saturday Night Live” Twitter account to voice their approval of the possibility. 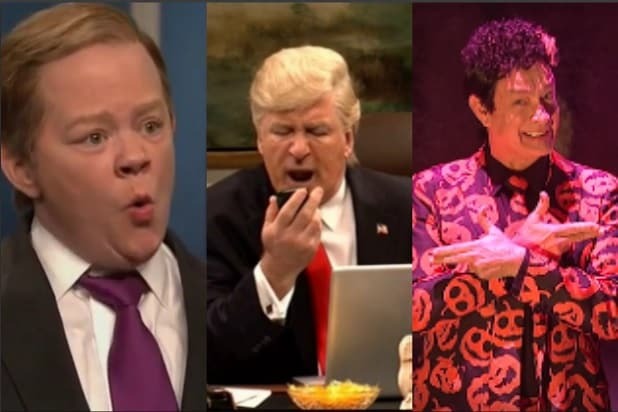 Up to now, the go-to joke for “SNL” has been to portray Bannon as the Grim Reaper sporting a modulated voice. Casting O’Donnell would likely infuriate Trump, if a report from Politico is to be believed. It suggests that the Trump White House took McCarthy’s portrayal of Spicer hard. And apart from how it portrayed Spicer in particular — as incompetent and angry as he deals with the press during daily White House briefings — the report said the fact a woman portrayed Spicer got under Trump’s skin the most. O’Donnell taking on the role of Bannon could hit on another level, as well. Trump and O’Donnell have a long-standing feud. O’Donnell says it started when she criticized Trump on “The View” back in 2006, calling him “a snake oil salesman.” Trump, in turn, has insulted O’Donnell’s appearance. During one of the GOP primary debates, Megyn Kelly noted Trump had “called women you don’t like fat pigs, dogs, slobs and disgusting animals.” Trump responded that he’d only said those things about O’Donnell. Trump also brought up O’Donnell during the first presidential debate against Hillary Clinton, saying O’Donnell deserved his insults and that no one felt sorry for her. In December, O’Donnell apologized to First Lady Melania Trump, after coming under fire for retweeting a video on Twitter that suggested her son Barron Trump had autism. 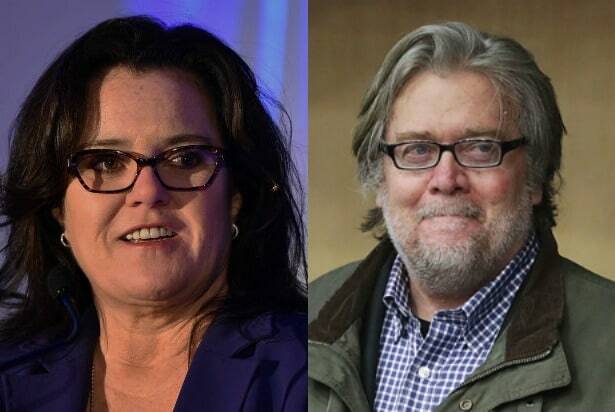 With their bad blood further informing the role, O’Donnell as Bannon would have a high possibility of irritating the President. It’s the reason many who are critical of Trump or even angry about his presidency have been so excited for her to play him. That, and the fact that Trump clearly hate-watches SNL anyway.